Dr. Oppenheimer's entire practice is dedicated only to Aesthetic Surgery. He has Ivy League training, and completed a coveted Plastic Surgery residency at the prestigious University of Michigan. He went on to train in Pediatric Plastic & Craniofacial Surgery at Seattle Children's Hospital. Dr. Oppenheimer's focus is on Women's and Children's Health. He has expertise in mommy makeover surgery, labiaplasty, vaginal tightening, and breast augmentation using "gummy bear" (shaped) breast implants. Given his unique training in craniofacial surgery, he also has a specialized skillset in rhinoplasty (nasal surgery). 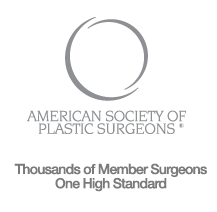 Dr. Oppenheimer's goal is happy patients, and he strives to helps them achieve THEIR plastic surgery goals. Find out what they have to say here. Dr. Oppenheimer was chosen as a Top 100 Plastic Surgeon on RealSelf.com for 5 consecutive years. See Dr. Oppenheimer's lighter side on Instagram or watch him live in surgery on snapchat: @RealDrOpp. Dr. Oppenheimer believes in giving back to the world. He is a donor for Clitoraid.org, which sponsors surgeries for women who are victims of female genital mutilation. He also has done mission work in Colombia, Thailand, and China with Operation Smile & Healing the Children. You can see some of this work below from his trip to Cartagena, Colombia, where he helped to correct cleft lip & palate and burn injuries in children.